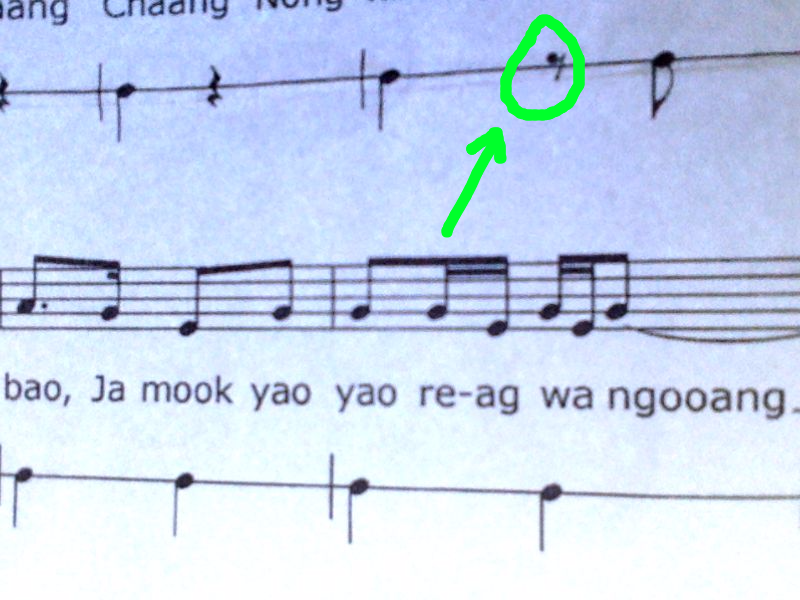 I've gotten a new song from my music teacher though, she never mentioned anything about this symbol. I'm rather new, can anyone explain to me what this represents? That's an eighth note (quaver) rest. If you know how to play the quarter note (crotchet) rest in the previous measure, then it's the same thing, just half as long. I suggest you bookmark the following page for future reference: Musical symbols. What do the terms E2 A2 D3 G3 B3 E4 actually mean? What does the caret symbol ^, mean in guitar tablature? What does “Time on” mean in the context of a Lead Sheet? What is the origin of the triangle symbol for maj7 chords? What is this musical notation: 0 vertically centered on staff after a barline?